While the California drought may have significantly improved with recent heavy rain and snowfall, it would be a stretch to declare it over. 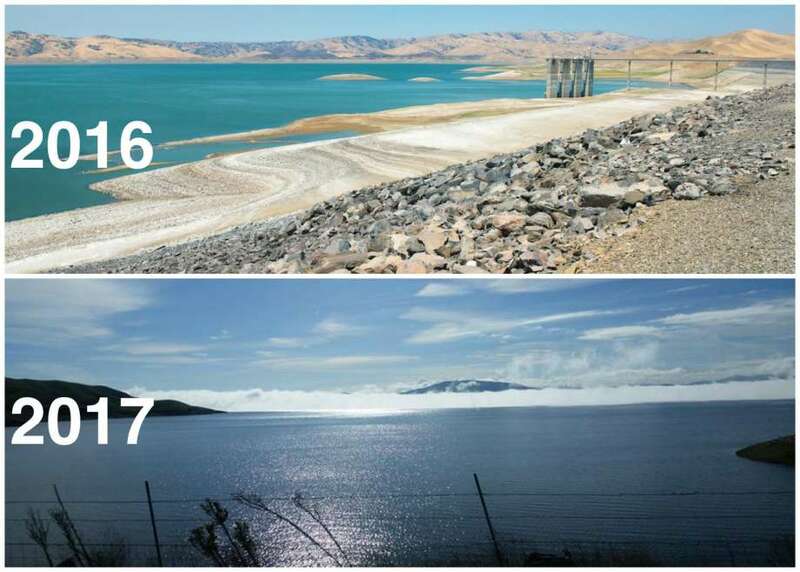 A series of Pacific rain filled storms have increased the storage in reservoirs, lakes and snowpack, but the need for continued conservation is still advised. Large, infrequent rain events do little for long term supply demands. A good deal of the event simply equates to stormwater with little effect on the aquifers. According to Richard Tinker with NOAA Climate Center, “Groundwater levels have not responded as one might expect and remain critically low… water supply is dependent on groundwater.” Without replenishment from more frequent rainfall, reservoir levels will once again decrease. By lessening the demand from public water supplies, recoveries can retain their water for longer periods or until the next large rainstorm. The new Seattle 2016 Stormwater and Drainage code is prompting many architects to include detention/infiltration systems into their residential designs to mitigate unwanted roof runoff. This typically incorporates roof runoff to be collected temporarily, in above ground storage, to be slowly released into an infiltration system on site. This can be a series of infiltration ditches or some type of rain garden. During the dry season, the stored water can be used for irrigation. However, a problem with this theory is that storage for this type of system is usually inadequate in volume to accommodate much irrigation during the dry periods. Rule of thumb for irrigation requirements are .623 gallons per square foot of planting area per week, or 1″ of rainfall for the healthy growth of plants. This can add up rather quickly; 1,000 square feet of planting requires 623 gallons per week, 2,500 gallons for 1 month or 7,500 gallons for the typical 3 month dry season. The outcome of this is that a good deal of money is spent to get rid of a good resource with little benefit – other than compliance with the code. Cisterns and infiltration designs, engineering and implementation can be costly. RainBank Rainwater Systems takes a more holistic approach to the stormwater code by using rainwater collection for domestic use. With a smaller amount of storage, rainwater can be collected and used for toilet flushing and laundry facility. Almost half of residential water consumption is for these two purposes. That’s right — 48%, per the American Water Works Association. During the rainy season, demand is met by a continued source replenishing the storage. During the dry season, the storage provides enough water to meet these demands. 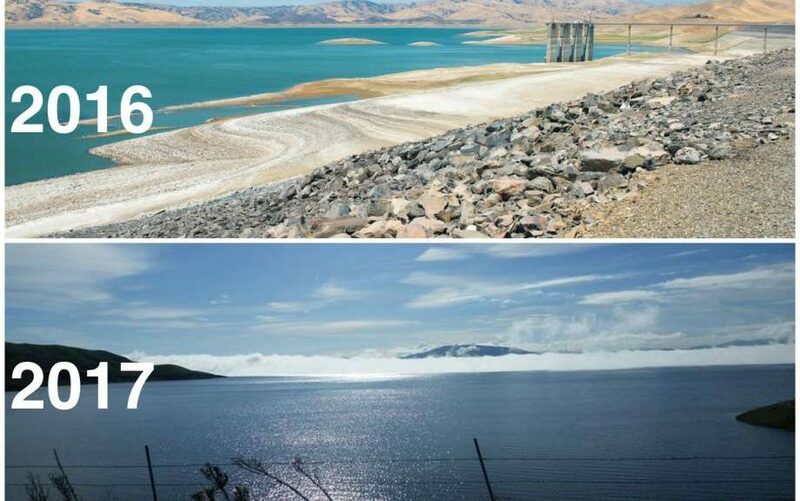 The cost of this type of system is comparable to the coasts of a detention/infiltration system, while reducing your water bill as much as 48% annually. 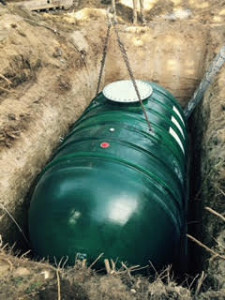 Rainwater system storage can be underground, where detention tanks cannot. The visual impact and space requirements are reduced, costs are reduced with a return on investment, environmental impacts are reduced, and conservation of city water is enhanced. RainBank Rainwater Systems will work with your architect, drainage engineer, and contractor to meet the challenge of drainage requirements for your new residential construction. Our designs and installs have been helping meet these challenges for more than 15 years throughout Washington State. RainBank’s team has the experience to turn the requirement of drainage codes into an asset for the customer and the environment. Contact us now to turn a potentially costly requirement into a win for your project and for the environment. 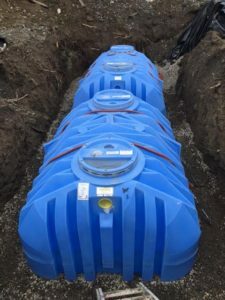 In a move toward more sustainable practices, a new village on the campus of University of Southern California (USC) will host an underground rainwater collection and containment system. The 15 acre property will have six underground wells and will be able to capture 200,000 gallons of water. The system will capture stormwater before it enters the Los Angeles River or the ocean, conserving water and promoting sustainability. RainBank has designed and installed underground systems, which work particularly well in urban areas where space is at a premium. Click here to read more about a RainBank underground system.